Confined space rescue is a very technical discipline with a wide variety of hazards that must be identified and mitigated. 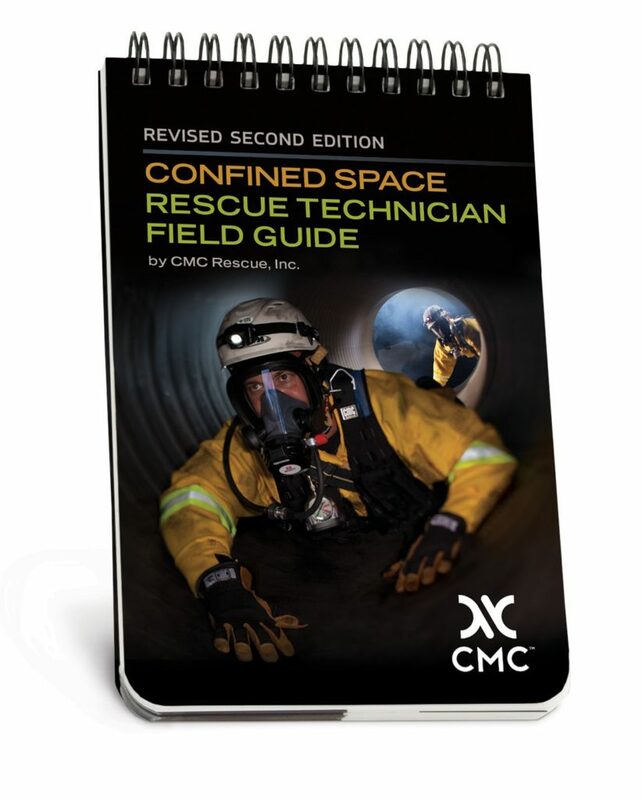 The Confined Space Rescue Technician Field Guide (Second Edition) puts a wealth of information in a pocket size book that you can take with you anywhere. Sections include classification and effects of hazards, charts for ventilation, communication systems, rope work, response management and general information that will help keep rescuers safe. Printed on water- and tear-proof stock. 88 pages. Printed in USA. We have compiled an outstanding selection of books on rescue. However, there is no substitute for proper training and time in the field for gaining the skills needed to provide safe and effective emergency assistance. Please Note: CMC recognizes that there are many different techniques in rescue. While our book selection reflects the leading authorities and most popular texts, as with all publications, recent developments in equipment and practices may not be included.